Reversible Addition−Fragmentation Chain-Transfer (RAFT) polymerization of styrene (St), vinyl benzyl chloride (vbc), tert-butyl methacrylate (tertBMA) and n-butyl methacrylate (nBMA) was investigated using carboxylic acid functionalized trithiocarbonate (R2). A series of random copolymer of styrene and vinyl benzyl chloride was prepared in order to control chloromethyl functionality in the copolymer, via RAFT polymerization. Addition to this, first-order kinetic behavior of the RAFT polymerization of vbc using R2 was also evaluated. 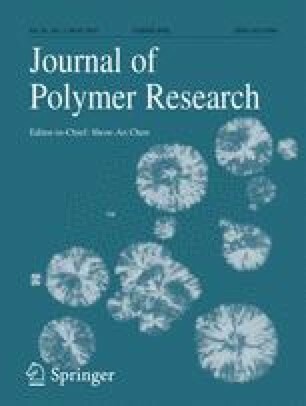 A novel series of amphiphilic copolymers based on polyethylene glycol (PEG) with molar masses of 500 and 2000 g/mol, functionalized polyvinyl benzyl chloride (Pvbc) were obtained via the Williamson-ether-synthesis. As chloromethyl functionality increases, the introduced PEG increases. Fractional precipitation, thermal properties and water uptakes of the amphiphilic polymer samples were evaluated. The new polymers can be the promising materials with high aqueous solubility capacity. This work was supported by the Bülent Ecevit University Research Funds (#BEU-2017-72118496-01) and Kapadokya University KÜN.2018-BAGP-001. This paper has been proofread by Bülent Ecevit University Article Proofreading and Editing Office.